Galveston, Texas Juvenile Attorney James Sullivan is very knowledgeable in various mental health and substance disorders and how they impact a juvenile. Behavior, mood, anxiety and substance disorders are common with children brought into the juvenile system. These children often have more than one disorder; substance abuse is the most common “co-occurence” with a mental illness. These disorders frequently put children at risk for risky behavior and delinquent acts. If your child needs a juvenile defense lawyer, contact Galveston Attorney James Sullivan at (281) 546-6428 for a free confidential consultation. Galveston County Juvenile Defense Attorney James (Jim) Sullivan is a recognized expert in juvenile law and fights to defend children accused of delinquency offenses. Since 1994, James Sullivan has fought to defend thousands of children accused of delinquency. He has defended children in juvenile court on virtually every kind of delinquency case, ranging from misdemeanor cases such as possession of marijuana, theft and assault to felony cases such as aggravated sexual assault of a child, robbery and murder. He provides a strong legal defense and is appreciative of the many reviews that parents of juvenile clients have written. Attorney James Sullivan has been Board Certified in Juvenile Law by the Texas Board of Legal Specialization since 2004. Sullivan is a recognized expert in the highly specialized area of juvenile law. 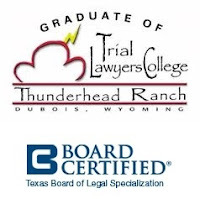 In Texas, there are only 38 lawyers such certified lawyers in private practice. Sullivan also graduated from the Trial Lawyers College founded by legendary lawyer Gerry Spence. Contact Galveston Juvenile Attorney James Sullivan at (281) 546-6428 for a free confidential consultation.